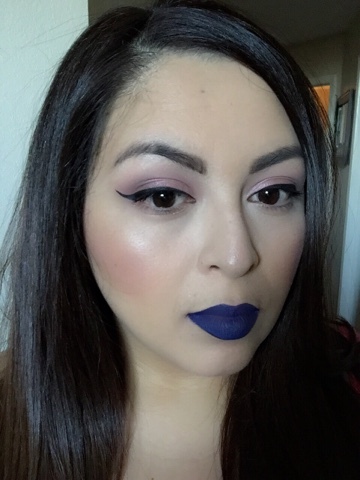 Liquid lipsticks are all the rage! It seems like every makeup company has released a line of liquid matte lipsticks. I have been a long time lover of the liquid to matte lipsticks. 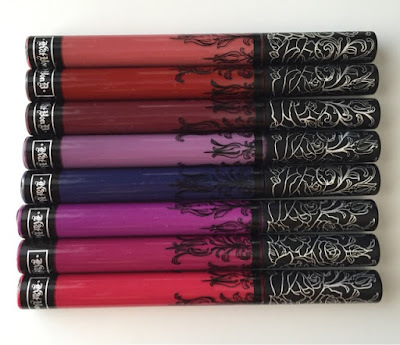 I've raved about Stilas, Sephoras, and even the original Kat Von D liquid lipsticks years ago! I hopped on this band wagon before it was the trend. I was very happy to see this type of lipstick take off like it has because it's given us so many more color options and formulas to choose from. 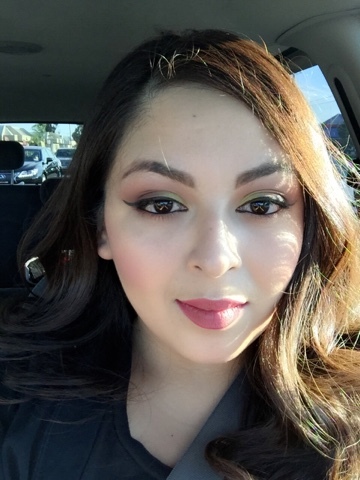 My faves have always been Sephoras and of course Kat Von D's. I was thrilled to find out that she was releasing new shades. I ended up splurging a bit and bought five of her new shades. I included a few of the others that I have in her newer formula and packaging. Double Dare, Nosferatu, Exercism, Ayesha, Echo, L.U.V., Bauhau5, and Bachelorette. I previously owned L.U.V., Bauhau5, and Bachelorette. Double Dare, Nosferatu, Exorcism, Ayesha, Echo, L.U.V., Bauhau5, and Bachelorette. Double Dare is a shade that is a bit more subdued for my style. 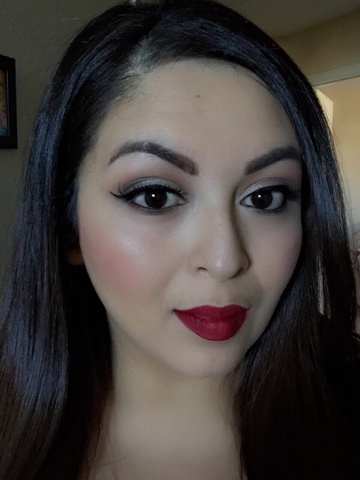 You know I love a bright or bold lip, but I've been really enjoying a more neutral lip lately. This shade is so gorgeous. It's one of those "your lips, but better" shades. It makes my lips look nice and full. I just love it! Nosferatu is a deep true red. This is another favorite of mine. The color is such a gorgeous classic shade, you really just can't go wrong with it! Exorcism is a deep vampy plum. I love this one too. This one needed a bit more of careful application as it required two coats to get even coverage. It was a bit patchy in areas so you just have to be specific with your application. Once applied evenly though it's a beautiful shade. Ayesha was the shade I was most excited about but the most disappointed in. I love a purple lip so I was looking forward to this grayed/purple lipstick. The color just doesn't look good with my complexion. Another disappointment was the formula. This one for some reason was much more drying than the others. It dried out my lips and settled in the lines. I got so annoyed by it that I ended up putting gloss over it to smooth my dry looking lips. I wouldn't really recommend this particular shade. Echo is the last shade that I picked up from the newly released colors. I didn't really have any expectations with this, I just thought it was a cool color, but I was so surprised as to how much I loved it! It's like a deep navy blue. 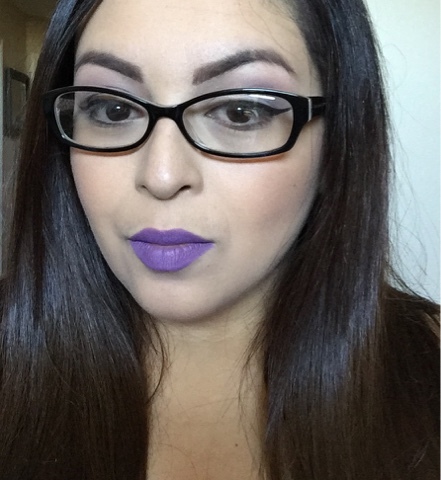 It's dark and vampy but not the traditional plum or black lip. It's just so awesome!! I wore this out and didn't feel weird at all. I got a ton of compliments on it. Definitely check this one out. It's going to be a great Fall lip color! L.U.V. is a pretty magenta purple. I've worn this a ton since I've had it for quite awhile. It's a bright fun color. Love wearing it in the Spring! Bauhau5 is a beautiful deep raspberry. I love wearing this one in the Fall. Pair it with a chunky cozy sweater and you're good to go! Bachelorette is a coral-ly red. I wear this one often. It's one of my easy go to reds. It goes with everything. Love it! 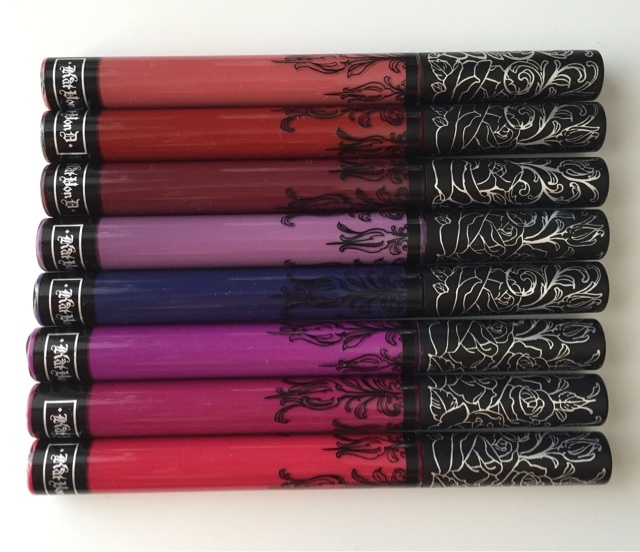 I definitely recommend you check the new Kat Von D Everlasting liquid lipsticks out when you're in Sephora. They are long lasting. You can eat and drink and they will stay put! None of them feel overly drying with the exception of Ayesha. Tip - I always recommend prepping your lips before wearing a liquid matte lipstick. Apply a thin coat of lip balm to smooth out your lips and to help keep the matte formula from drying out your lips. These are just a few of the shades in the collection. There are a bunch of nudes as well if prefer a more neutral lip. You can find them at your local sephora or sephora.com for $20 each.